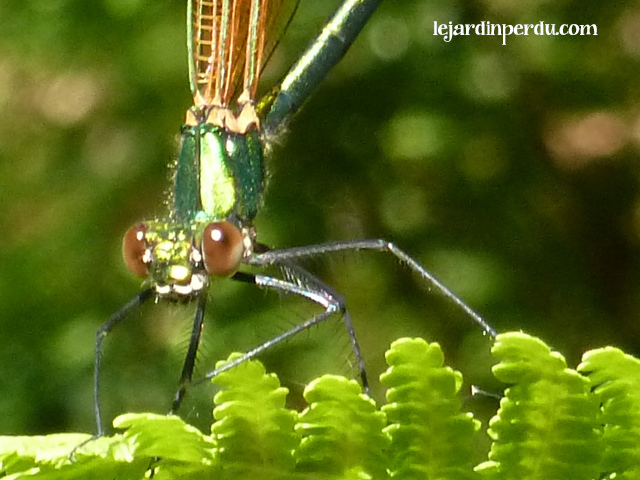 With the recent soaring temperatures here in France I was delighted to spot a Large Red Damselfly basking in the sunlight by the edge of our petite source earlier this week. The Large Red Damselfly is common across both France and the United Kingdom. 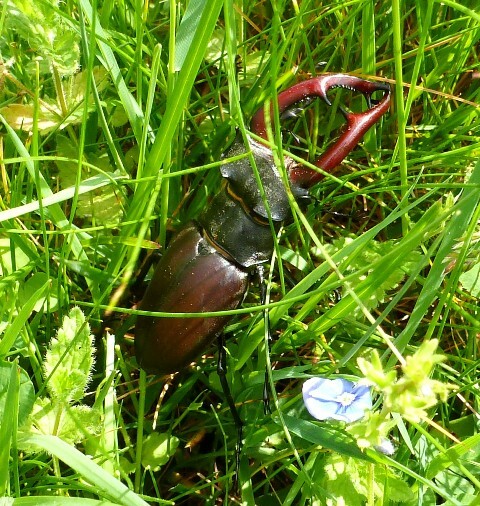 It has a red abdomen with dark markings towards the end, black legs and wing spots. 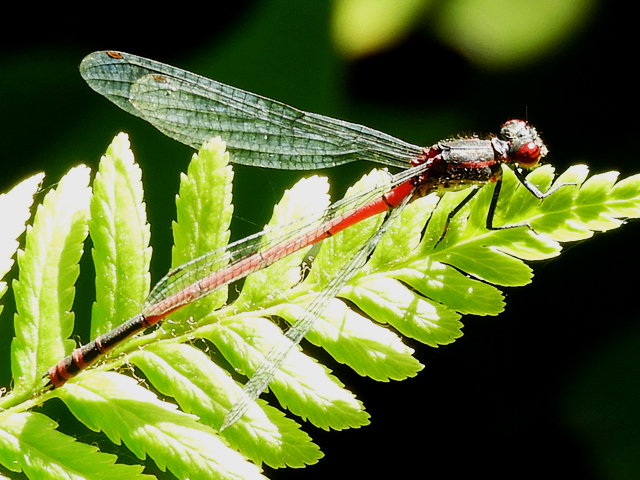 Large Red Damselflies spend most of their life as nymphs, living underwater for up to 2 years. Once they emerge from the water as adults, they live for only 1-6 weeks! 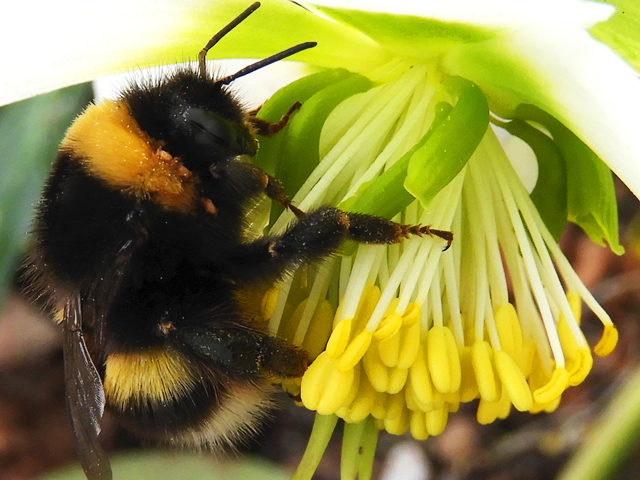 They fly from April through to September and can be found near ponds, canals, bogs and slow flowing streams. 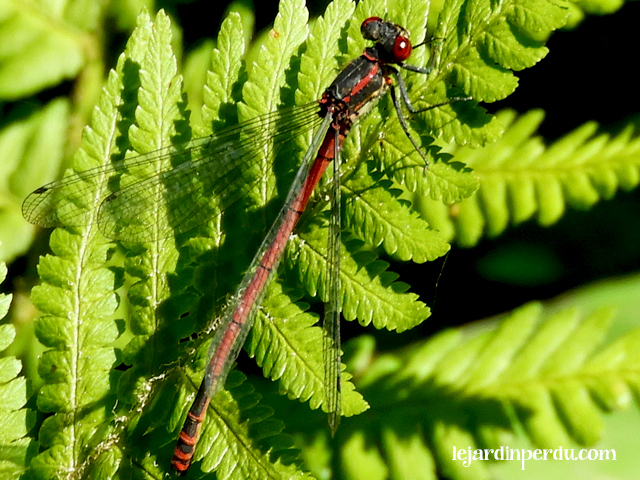 Feasting on flies, midges and mosquitos, adult Large Red Damselflies are a gardener’s friend, have you seen any in your garden?